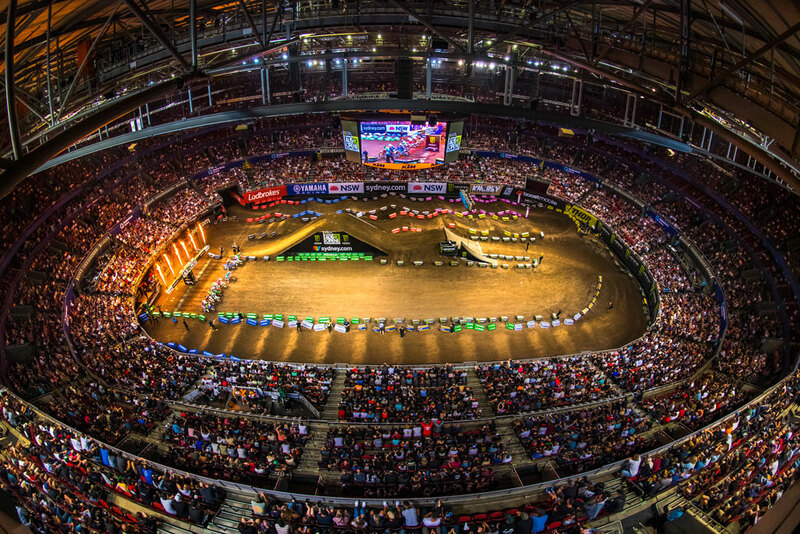 The AUS-X Open event is quickly becoming a staple amongst riders worldwide, with the scheduled event posted up right at the beginning of the Australian summer, and for 2018, Sydney sat at 28 degrees (82 Fahrenheit) for the majority of the event. This saw Australian hero Chad Reed teach his family how to surf at the famed Manly Beach, whilst Jason Anderson, Dean Wilson and more hopped aboard the pre-event yacht and toured the Sydney Harbour. Defending AUS-X Open Champion, Jason Anderson once again took a trip down under for this year, and it’s safe to say that the 2018 World Supercross Champion is in blistering form, with the 25-year-old being visibly superior to the rest of the competition who showed up. Anderson topped all but two sessions – which was Friday’s practice and Superpole – en route to etch his name into the coveted AUS-X Open trophy for a second consecutive year. Whilst commuting in between PR commitments and driving he and his team to and from the venue in a golf cart, I chatted with Anderson and got his thoughts on heading down to Australia in the summer. At this point, I brought up Tomac’s pace as well as the inconsistency, along with the fact that he seems like a guy who turns up, races, and that’s all. He’d prefer that all media commitments are non-existent.